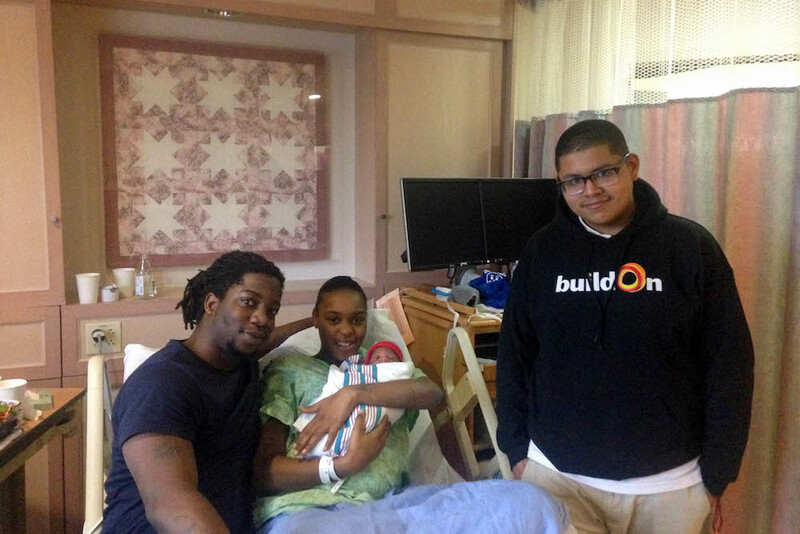 When Adolfo Rodriguez started recruiting students and teachers to join buildOn for a knitting project at Central High School in Bridgeport, Connecticut, he had no idea that his hard work would eventually land him an award from a local hospital. But that is exactly what happened to the 15-year-old freshman. Passionate about serving his community, Adolfo led fellow students in creating hats for newborns to donate to St. Vincent’s Medical Center in Bridgeport. The hospital was so moved by their knitted gifts that they presented Adolfo with the Values Recognition Award—an honor that is typically reserved for hospital staff who go above and beyond the call of duty through an act of kindness. 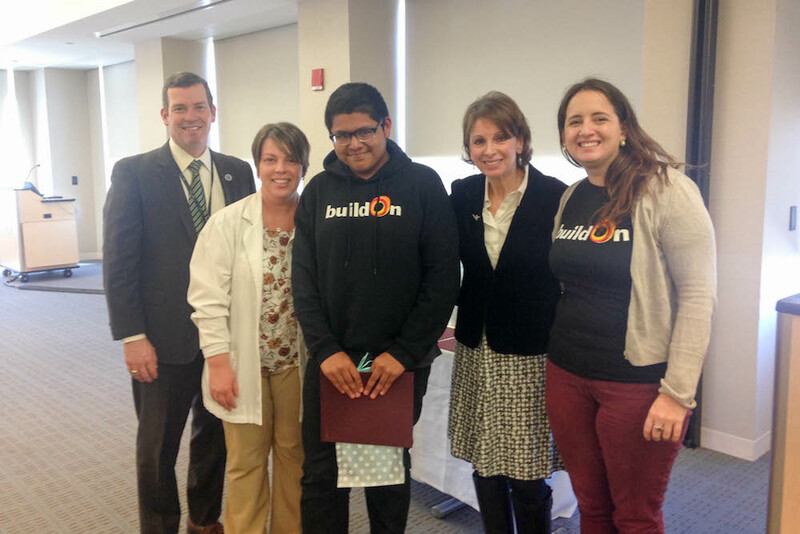 Above: Adolfo (center) stands with St. Vincent Medical Center staff and one of his buildOn Service Learning Program Coordinators from Central High School, Laura Callachan (far right), after receiving the Values Award. Above: Adolfo (right) poses for a picture with a family after giving them a hat knitted for their newborn child. “It made me feel great just because they didn’t have a hat until we got there,” Adolfo says. Below: Adolfo, Laura (far left), and staff at St. Vincent’s Medical Center show off the colorful hats for newborns.